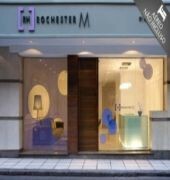 The Rochester M encompasses light-filled rooms with a minimalist design, splashes of modern colour and Wi-Fi. They come with parquet floors, soundproofed windows and a safety deposit box. Some rooms feature large work areas or kitchenettes. 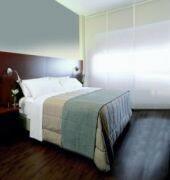 Each is equipped with air conditioning, a 32-inch plasma TV with cable channels, a minibar and a desk. There is a private bathroom with a hairdryer and free toiletries.The hotels restaurant offers a full range of Argentine cuisine and European flavours. Guests can keep in shape at the onsite fitness centre and enjoy snacks, coffee and coktails in the lobby bar.